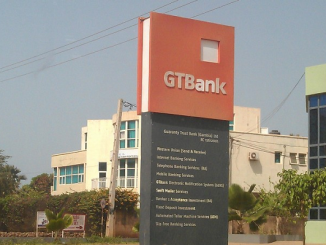 GTBank wins Nigerian bank of the year – Foremost African financial institution, Guaranty Trust Bank Plc has won the award for “Bank of the Year Nigeria” for the second year in a row at The Banker’s Bank of the Year Awards, regarded as the industry standard for excellence within the global banking sector. Receiving the award on behalf of the Bank, Segun Agbaje, Managing Director/CEO of GTBank said; “We are honoured to be recognized as the 2018 Bank of the Year in Nigeria and Sierra Leone. He further stated that “Our vision has always been to create an oasis in the financial services industry that leads, not only in earnings and returns on equity, but also in maintaining world class corporate governance standards and pushing the bounds in service delivery and customer experience.